Here I am again with my Sunday catch up post. If you are anti-valentines day then I suggest you stop reading since this post will be full of sentiment and romance! On a side note, my post this week is written with a partly broken heart. On the 13th February I was awoken from my sleep to be told that my beloved Grandad passed away. I'm not a religious person but my only wish is that where ever he is, he was with my Grandma for Valentines Day. She died last February and he was so lost without her. In memory of my Grandad I would just like to share a quote I found online. I also would like to thank everyone who sent me a thoughtful tweet. With everything that happened this week, I've been driving up and down the country so have had little time for shopping. Since I do not have any beauty items to share with you, I thought I would tell you about my Valentines Day gift. My lovely Boyfriend scored brownie points. A while ago I had seen a bag online and I was debating whether to purchase it. I came downstairs on Valentines Day morning to see that very same bag waiting for me on the table (he had left earlier for work). 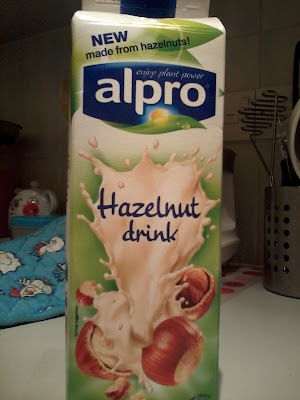 I discovered this week that Alpro Soya have launched a Hazelnut 'milk' and an Almond one. I was able to find the Hazelnut at Sainsburys. I have to say I was very excited by this but was slightly disappointed by the taste. 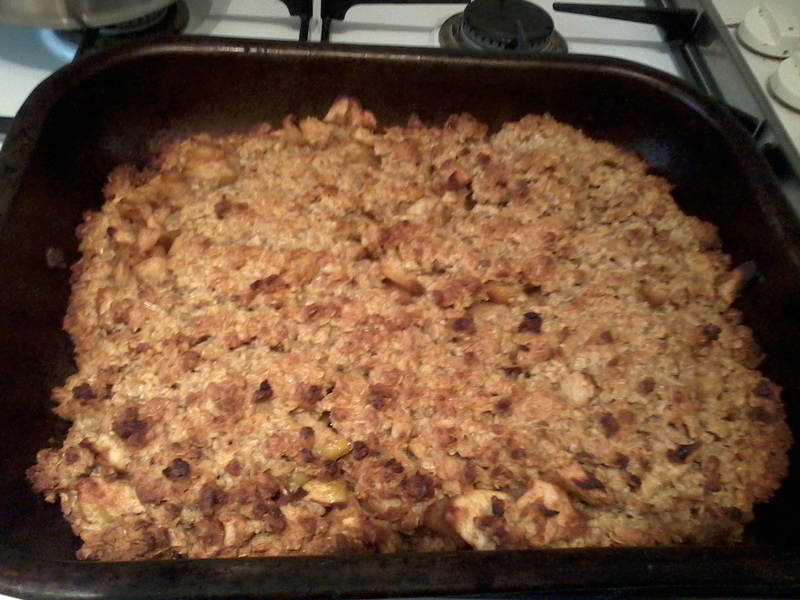 It's not disgusting but I thought it would have a stronger creamier taste. Someone tweeted about making a hot chocolate by combining the Hazelnut with the Chocolate flavoured soya milk. I have yet to give this a try. Last weekend I mentioned Miss Glutenless and her Toffee Apple Flapjack recipe, well I did make them and they were delicious. I hope everyone had a nice weekend and a special Valentines Day for those of you who celebrate. I'm so sorry to hear about your grand dad. My thoughts are with you and your family. Big hugs from me. Totally can relate to that saying. Grandparents play a major role in our lives. I didn't get to know my grand fathers from both sides but my grand mother (mum's mum) was there with me through out my childhood and most of my adult life. She was a gracious person, funny, innocent and so kind. She still lives in my heart. Thank you for your kind message x it's a sad time I am very fortunate that I still have my grandparents on my mother's side it was my father's parents that have passed away. Grandparents are always so special & I loved having them around for all these years. 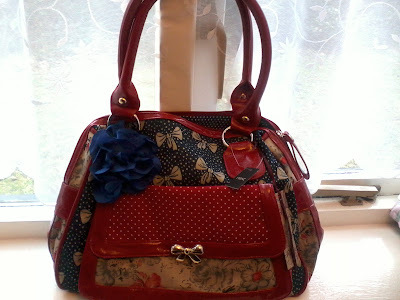 What a gorgeous bag, I'd have bought that too. We are too old in the tooth to give each other valentine's presents now, so I'm very envious of you. Sorry to hear about your grandad, it would be nice to think that your gran and grandad are togther again. Love your new bag, you are lucky to have a fabulous boyyfriend! Very sorry to hear about your Grandad, hopefully he will be at peace now and with your gran. Keep up with your blog, it's great!